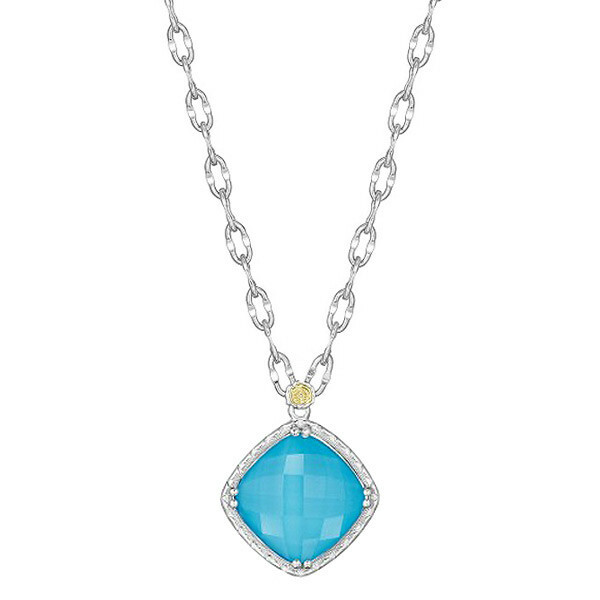 Barbados Blue Sterling Silver Neolite Turquoise Small Pendant Necklace 18"
From Tacori's Barbados collection, this small pendant is magnificent. It set in sterling silver and features clear quartz layered over neolite turquoise. Embrace fashion and luxury with a pendant that was inspired by the relaxation and beauty of island paradise.